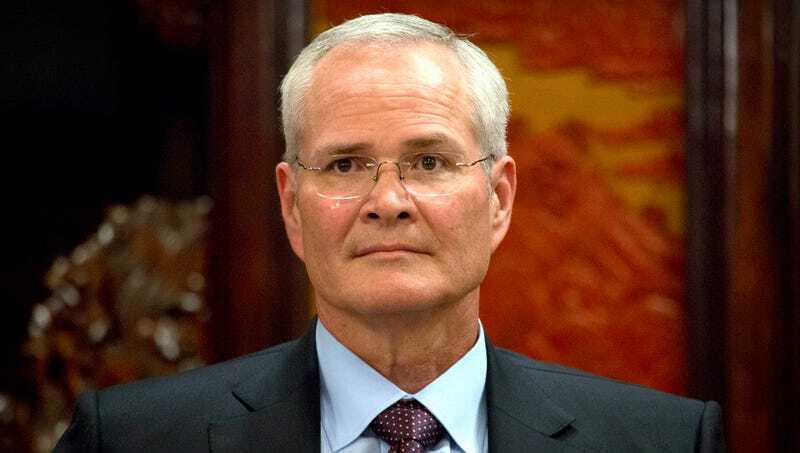 IRVING, TX—In the wake of a report by the Intergovernmental Panel on Climate Change that projected the planet had only a decade to prevent catastrophic global warming, ExxonMobil CEO Darren Woods was reportedly feeling depressed Wednesday after realizing the Earth could end before they finished extracting all the oil. “When I read about the report, it just hit me like a ton of bricks—we could all die and leave billions of barrels of petroleum trapped in the ground forever,” said Woods, wiping away a tear as he added that the entire oil industry was heartbroken by the thought that they might not have the decades they needed to extract all the oil from the planet as they had originally thought. “We’ve already laid out plans for gas production by future generations of ExxonMobil employees, so it’s just very traumatic for me to consider the idea that they might never get the chance to enjoy the same profits we do now. Just think, one day soon, we’ll all be gone and that oil will still be there in the Earth, never to be removed. It’s a travesty.” At press time, Woods announced ExxonMobil’s plans to quadruple its oil production in an effort to extract it all from the Earth while there was still time.